The use of Skype or video conferencing technology offers a great advantage in recording statements of witnesses who cannot attend court because of reasons such as security concerns and remoteness of their location. As of late, a number of e-courts have been established across Punjab to enable witnesses to record their testimony through Skype and video conferencing. While this can be regarded as a giant step forward in facilitating and simplifying court procedures, it may also pose certain difficulties, with regard to establishing the reliability and credibility of evidence. 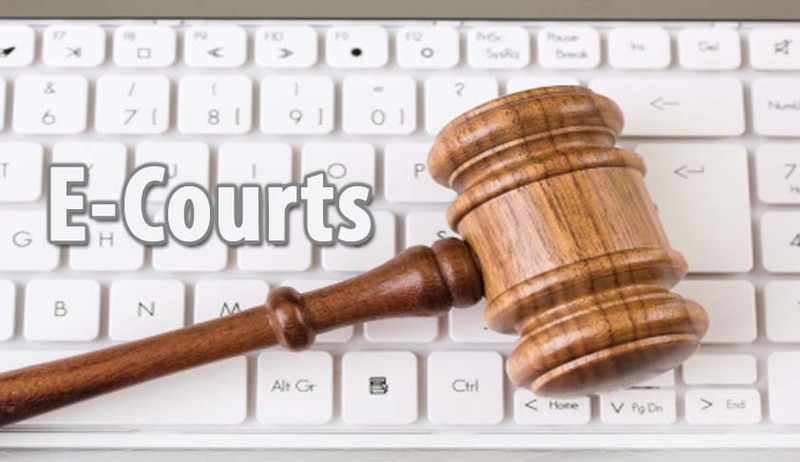 Accordingly, in line with international best practices, e-court protocols must be established and enforced to allow the use of Skype testimony or other forms of digital evidence. Digital or electronic evidence is information and data of value to an investigation that is stored in, or transmitted by, an electronic device. There are many sources of digital evidence including internet-based, stand-alone computers and mobile devices. But for present purposes, the topic is confined to internet-based digital evidence procured through Skype technology or video conferencing. Digital or electronic information is broken down into binary units of zeros and ones (0s and 1s), requiring additional steps to make it readable by humans, such as attaching software or codes to the electronic devices from which information has to be transmitted. This change of format might mean that the digital evidence would not qualify under the best evidence rule. Apart from concerns about the best evidence rule, objections have also been raised about poor audio/video quality, making Skype evidence unfit for the formal court environment where everyone must be able to understand and pen down the exact wording of a witness. Likewise, determining the free will of a testifying witness remains problematic besides security threats from hackers. Hence, it was held in Re ML (Use of Skype Technology)  EWHC 2091 (Fam),  All ER (D) 232 (Jul), that Skype technology should be used sparingly – ideally when the court is left with no other option. In Mitra v. Govt of India (2015), Mitra moved the Supreme Court of India after the Calcutta High Court allowed the victim to depose from Ireland through Skype, saying it was akin to video-conferencing. He complained about the poor quality of video on Skype and had accused the victim of using unfair means while deposing. According to the petitioner, the complainant deposed for the first time from her house. It was only after his lawyers protested that the woman went to the Indian embassy and got herself examined. The Supreme Court agreed to examine the plea challenging the use of Skype in court. Similarly, in the Memogate Scandal, the Judicial Commission of Pakistan decided to record the statement of the main witness, Mansoor Ijaz, via live video conference from Pakistan’s High Commission in London on February 22, 2015 with a stern direction to the government that “we don’t want any hiccups this time”. The Commission’s Chairman, Justice Qazi Faez Isa observed that the Commission had decided not to go abroad to record Mr. Ijaz’s statement, keeping in view the concerns he had shown regarding the security of the Commission members and costs of travel. On the second occasion, the reservations of Mr. Ijaz regarding the quality of audio and video during video conferencing gave the Commission Chair an added opportunity to direct the government to ensure a high quality live feed. “It is the responsibility of the government to ensure a good link,” Justice Isa stated. Considering the above, it can be argued that the testimony recorded through Skype or video conferencing becomes unreliable if it suffers from poor audio and video quality, if the statement is recorded against the will of the witness and if the place of recording the statement remains undisclosed or unauthorized. Consequently, if testimony recorded through Skype is challenged, there should be sufficient material on record to justify the decision of the court, independent of such evidence. This contention draws support from Article 161 Qanun-e-Shahadat Ordinance 1984 which provides there shall be no new trial on the basis of improper admission or rejection of evidence, however, if a decision is rendered on the basis of such evidence, it must be proved that there is sufficient material on record to justify the decision, independent of disputed evidence. There is a series of superior courts’ judgments endorsing the viewpoint that digital evidence is merely a circumstance which lends credence to the original evidence and it cannot be regarded as conclusive proof. For example, in PLD 2007 Kar 448, it was held that audio/video recorded cassettes and CDs were admissible pieces of evidence, however, the authenticity of the same was always subject to proof. Similarly, in 2001 YLR 448, it was observed that video film was not a piece of legal evidence to be relied on without proof and corroboration – it was necessary that the person who recorded the video must be called to court to testify the same. Likewise, in 1995 MLD 1485, it was held that digital evidence such as audio/video tape recording could only be admissible if it was corroborated by live testimony of the witnesses making the recordings or taking part in conversations or by providing written and authenticated transcripts of the conversation. Applying these principles to Skype testimony, it appears that the authentication of such evidence would require either the live testimony of a witness giving Skype testimony or the person establishing the Skype connection. Authenticity means that the information obtained through modern devices is what it purports to be, i.e. it’s not misleading and it is original, i.e. not distorted or fabricated. Authenticity can be established by corroboratory evidence such as live witness testimony, expert testimony and transcripts. If the source of digital evidence cannot be disclosed, it becomes hearsay digital evidence. Hearsay evidence means the evidence outside the direct knowledge of the witness, which is prohibited under Article 71 Qanun-e-Shahadat Ordinance 1984. For making the hearsay digital evidence admissible, it is required to be corroborated with evidence of the process through which the evidence was procured, which could be an expert testimony or testimony of a person facilitating the transmission of evidence. Error-free storage of the evidence should be established along with its lawful seizure. A warrant for seizing evidence would suffice for latter purposes – and for the former, testimony of those responsible for storing, would be required. Since digital evidence could easily be degraded or altered, world courts have shown leniency in accepting storage with several inaccuracies. The observance of these standards is necessary for establishing the credibility of digital evidence. Hence, it is suggested that every court allowing the use of Skype technology or video conferencing for recording witness testimony may be required to enforce an e-court protocol containing instructions based on the aforementioned guidelines, the non-compliance of which should render the evidence inadmissible. Since evidence procured through Skype is divorced from its source and requires additional steps i.e. software and codes for its transmission, it does not qualify under the best evidence rule and its credibility may only be established through corroboration. For corroboration, it is important that such evidence be filtered through the lenses of authenticity, chain of custody, hearsay considerations and error-free storage. Recently, ASJ amir munir mughal in one of murder case used the method of recording evidence through skype. His said order is available on lahore high court website, that also advocates use of skype and how such evidence can be relied.